Boat Voyage 440 named Easy Rider has been produced in 2008. We propose this yacht from port Palma de Mallorca in region Palma De Mallorca. Easy Rider is licensed for 10 pax. Layout of the sailing boat is 10 (8+2). Voyage 440 Easy Rider has 4 bedrooms. For comfort of passengers there are 4 heads with showers. You can fill the diesel tank with 400.00 l l. and in tank for water it goes even 600.00 l l. With engine 2X40hp Easy Rider can navigate really fast. Easy Rider is 13.36 m long and 7.60 m wide. Draft is 1.10 m. Search for different yachts by moving to this section: Catamarans Palma de Mallorca. Nonrefundable deposit has value 2500.00 EUR. Choose our offer and have good time on the deck of Easy Rider. 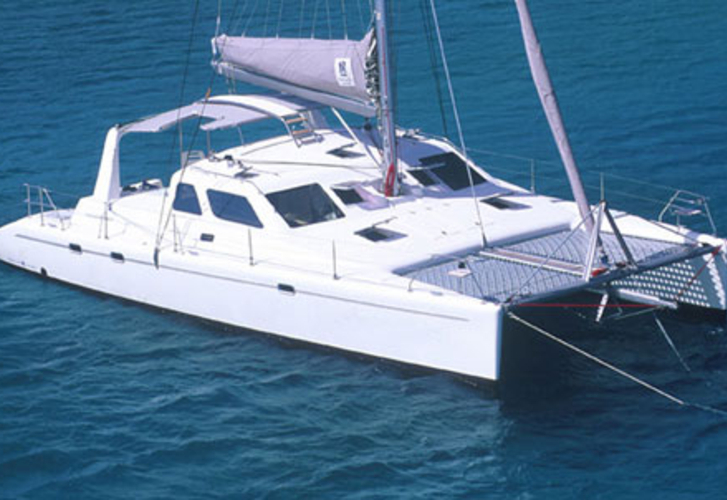 This Voyage 440 from Palma de Mallorca from Balearics Click for following this link: Catamarans Balearics.